Innovation in today’s society can be a difficult idea to grasp and an even more difficult idea to implement. In order to truly lead forward as an innovator there are a few key concepts to hold onto. 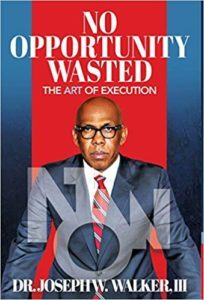 Today’s post is by Dr. Joseph Walker, author of No Opportunity Wasted (CLICK HERE to get your copy). Lately, the term “innovator” conjures up the image of a young entrepreneur disrupting an industry with concepts like ridesharing, e-currency or meal-kit delivery. But it doesn’t have to. Whether you are 35 or 65, leading a start-up or a multi-generational business, you can be an innovator. In fact, you have to be if you’re going to keep succeeding. 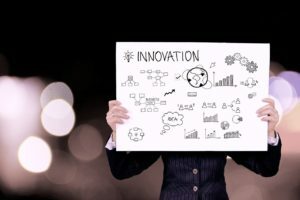 Being an innovator doesn’t just mean introducing a new idea; it also means tirelessly improving processes, finding solutions and refining techniques. One of the biggest roadblocks to innovative thinking is discomfort. People – particularly people who already are successful – tend to shy away from it. After all, you achieved so much, and things have been working fine for you, so why change? But tradition is frozen success, not a roadmap for future opportunity. You can’t maintain success unless you adapt. Things change quickly today – tastes, priorities, people and peoples’ needs. So let go of any illusions that what worked in the past will work just as effectively today. It won’t. As you commit to a culture of innovation, be prepared, not only to deal with your own discomfort, but that of others. Introducing new ideas into older systems will create tension among those who like the way things are. They will oppose you. They may view your innovative concepts as a dismantling of what’s good enough as is. Stay strong. Managing opposition only leads to opportunity. Folding in the face of pushback will set you back. I see organizations with rich legacies fail all the time for fear of change. But if you embrace that tension, push yourself forward and relentlessly seek new approaches, good things can happen. Not every innovative concept will work, but frequent trial and error will teach you and your team how to develop and refine your approach until you succeed. Maintain respect – even reverence – for what has been as you implement your culture of change. At some point, what was old was new; appreciating and understanding how you got where you are will ensure your innovations are rooted in what makes sense for your business goals and your customers. So interact sensitively with your existing environment – both your team and your public. This will increase the likelihood that your innovations will take hold rather than appearing to come out of nowhere. This will minimize the criticism that is inevitable in the face of change. It will still come. But it will be easier to address and explain – as an inevitable evolution of the best of prior success. Innovative thinking also requires a shift in how you view yourself. Stop thinking of yourself as an expert and start considering yourself a student. You do not know the secret to success, because the formula is always changing. Be a perpetual student of that change. Learn from the environment around you and read voraciously. Try to understand the what, why and how about the things that you learn, but don’t turn your nose up simply because something is new or different or complicated. Think instead about if and how it could benefit you and your business. Innovation, after all, is not just throwing spaghetti at the wall and seeing what sticks. It is based on analysis and learning. To be a successful innovator, you must also view yourself as one innovator among many. You are not the “Big Chief” of a team of minions. Innovation requires a culture of open and collaborative thinking, and it also requires humility. Recognize your weaknesses and blind spots and lean on those around you to fill them. You and your team should be thinking about things that don’t exist yet. Your ideas will foster theirs, and their ideas will in turn sharpen yours, creating an inclusive culture of innovation. Have the humility to listen to other ideas and rethink your own if they’re not good ones. In this way, people will feel that their input is welcome and their opinions have value. And this will inspire them to continue to think big.